Sue (Whispering Gums) has posted a review of Louise Mack’s follow up to Teens which I reviewed yesterday (here). Between them they provide a fascinating insight into 1880s and 1890s Sydney, when university was a real possibility for the first time, at least for those young women whose parents could afford it. Louise Mack (1870-1935) was the oldest of thirteen children of a Wesleyan minister who, after various positions around South Australia and NSW settled in Sydney in 1882. Louise, who had up to then had been schooled by her mother and a governess, began attending Sydney Girls’ High School, probably from the following year when she would have turned 13. Ethel Turner, author of Seven Little Australians, was the same age and attended the same school. Ethel and her 3 years older sister Lillian were well known for starting a school newspaper, as did Louise Mack. I mistakenly wrote in an earlier post – which I will now have to go off and find – that it was unlikely the two newspapers were in competition as Mack was 9 years younger. I was wrong. Sorry. I’d recorded Mack’s year of birth as 1879 when it was actually 1870 (ADB). A large, brown, two-storey building, with a wide, wooden staircase, a verandah all round, and an asphalted playground, shaded with two huge Moreton Bay fig trees. This was the School. After a lonely first few days she makes friend with 15 year old Mabel and this is the story of their year in ‘B’. The big girls studying to matriculate and get into university – only possible since 1881 (More Educating Women) – were in ‘A’. To get things out of order a little, one of the things the two girls do is start a school newspaper. There is great demand for the initial hand-written version so they scrimp and save to get it printed, and the poor old printer will only get paid from the sales the girls make at 6d a copy, only for the girls in ‘A’ to trump them with a much more impressive newspaper printed by one of their fathers. As Lillian Turner was most likely in ‘A’ when Mack was in ‘B’ this is no doubt a little bit of setting-the-record-straight. As a guy, old, and without sisters, I have no experience to fall back to evaluate this book. It’s a long time since I last read Seven Little Australians and I’ve never read Little Women for instance or the equivalent books that girls read when I was reading ‘Boys Own’ books. Jane Austen’s young women are mostly older and definitely more mature. Picnic at Hanging Rock also has a more mature feel, despite the setting and period being similar, and probably reflects that it was written in the 1960’s (though Ethel Anderson’s At Paramatta (here) written in the 1950s does not). Another that should be similar but is not is The Getting of Wisdom. TGoW is an adult novel about schoolgirls whereas Teens is a novel for schoolgirls, and not very mature ones at that. The writing it most resembles is that of Enid Blyton. For all that, it was a fun read. The girls, who at 13 and 15 still play with dolls (not that some of my own stuffed animals haven’t survived these past 60-something years) get into the usual school day scrapes, fall in love with their (lady) teacher, sleep over, play tricks on Lennie’s older brother, and contrary to Melanie’s opinion of recent YA fiction (at Grab the Lapels) – and yes this is only middle school in American terms – agonize over their school-work, fail to pay attention in Mathematics and ‘Euclid’, but finally come top in English, French and History. Would I give Teens to a granddaughter? Maybe, at around age 11 or 12. For an adult, the only real reason to read it would be for its lively account of middle-class life in 1880s Sydney, and on holidays in the Blue Mountains, by someone who was there. I was going to post this at the end of the week, but I’ve returned to work earlier than I originally planned, and am as you read en route to Melbourne and Sydney. So I’m putting it up tonight and will do another end-of-week summary on Tues or Weds. Louise Mack, Teens: A Story of Australian School Girls, first pub. 1897. Angus & Robertson (paperback) 2016. I used pdf version (here) from University of Sydney Library. Thankyou to everyone who participated in Australian Women Writers Gen 2 Week. There are links to all your reviews from the AWW Gen 2 page, as of course will be any reviews that you do in the future. 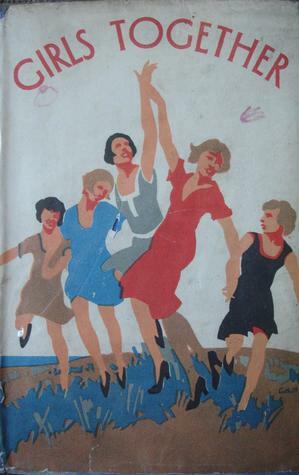 Brona of Brona’s Books has reviewed and enjoyed this little known novel by Ethel Turner, the author of the much loved classic, Seven Little Australians. Brona mentions that Turner is the same age as and was at school, Sydney Girls High, with Louise Mack and that Ethel and her older sister Lillian produced a school newspaper in competition with one produced by Mack. I will post a review of Mack’s fictionalised account of that school year, Teens, later this week. Thanks to Bill @The Australian Legend’s Australian Women Writer’s Gen II Week I have read my very first ebook from start to finish.